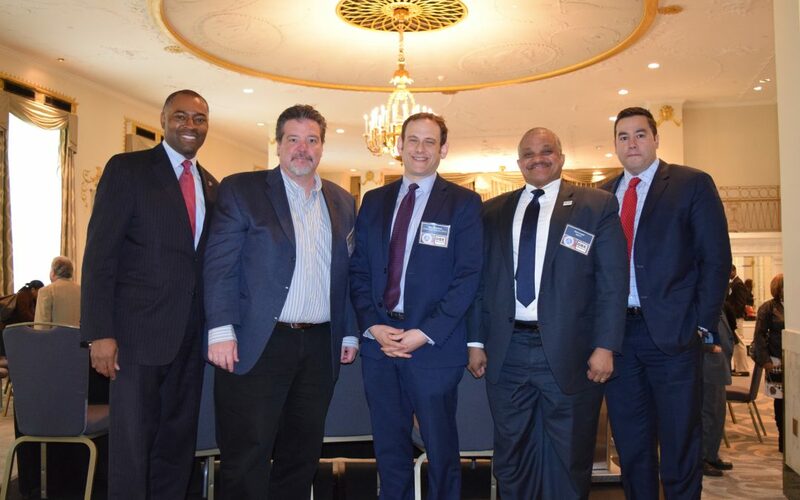 ARTBA’s local chapter, the Metropolitan Washington Road & Transportation Builders Association (MWRTBA), held a March 30 event to help Capital area contractors and minority and woman-owned businesses improve their market opportunities. Chris Lawson, Federal Highway Administration division administrator for the District of Columbia, hosted the Disadvantaged Business Enterprise (DBE) event, co-sponsored by D.C.-based DBE Advance LLC. Speakers included R. Earl Lewis, Jr., deputy secretary for Policy, Planning and Enterprise Services at the Maryland Department of Transportation; Greg Henion, deputy state construction engineer at the Virginia Department of Transportation; and Sam Zimbabwe, chief project delivery officer for the District Department of Transportation. More than 150 attendees heard the panel discuss current and upcoming projects in the Capital region. Maryland’s Lewis noted that lower gas prices have reduced state transportation revenue and caused his agency to “strive to find how to do projects with 10 percent less.” He also said Maryland’s DOT would begin “e-bidding” for all projects to make the procurement process less onerous. Virginia’s Henion conveyed the importance of pre-qualification for DBE contractors on projects in his state.